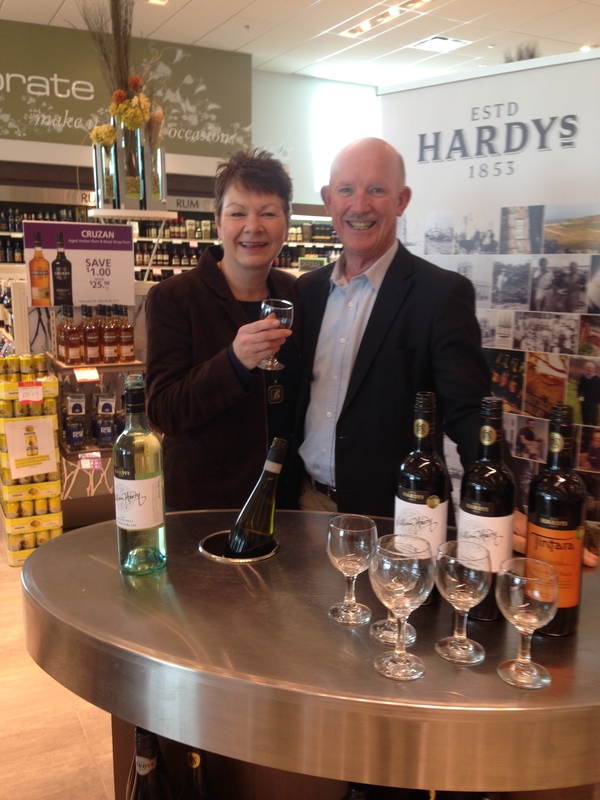 Last Saturday I had the pleasure of meeting Bill Hardy from Hardy’s Wines in Australia, and tasting some new wines. This is a vineyard that started producing wine in 1857 with Bill’s great great-grandfather, Thomas Hardy. William Hardy (I’m going to call him Bill in this article because he asked me to) is a 5th generation family member that creates food friendly wines. He talked about that when he visited the NSLC store in my neighborhood. 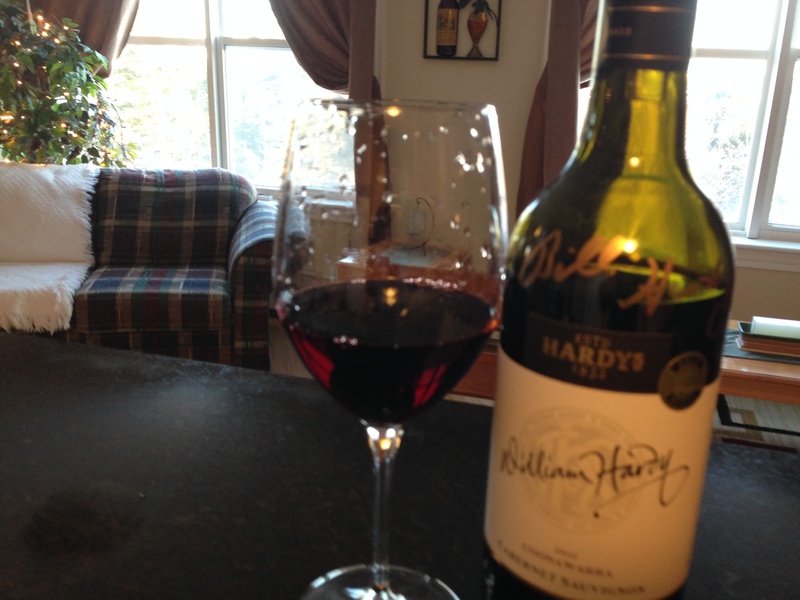 Like many of you, this was my first introduction to the Hardy line of wines. When I first started drinking wine, many many years ago, the Stamp series was my first introduction to Australian wine. How many of you experienced the Stamp series of wines? I was in the line at the NSLC yesterday evening and there was a gentleman behind me buying a bottle of the Stamp series. If you have never tried this wine, you should! It’s a nice little wine at a great price. 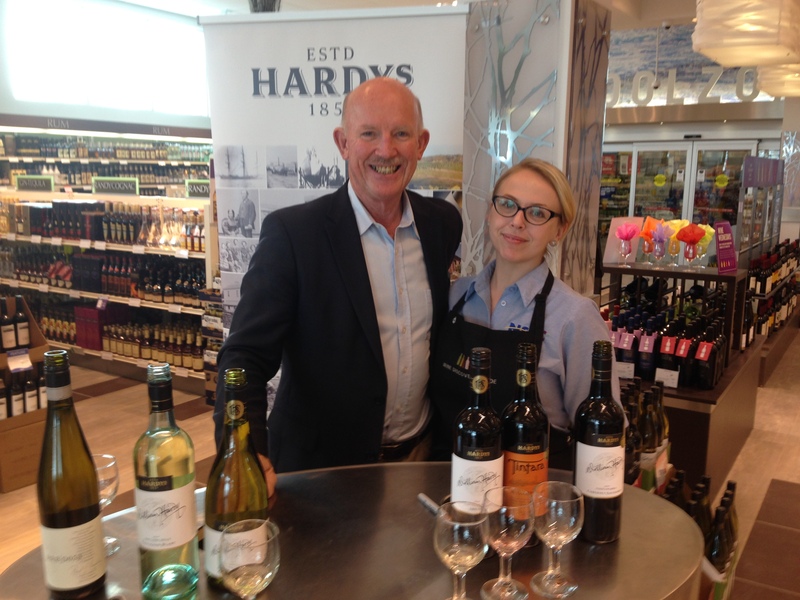 Last Saturday we were tasting the William Hardy range of wines. These wines were created to celebrate Bill’s 40 years in the family business. Bill believes wine is made for food, and that’s how he designs the wines. The first I want to tell you about is the Chardonnay. 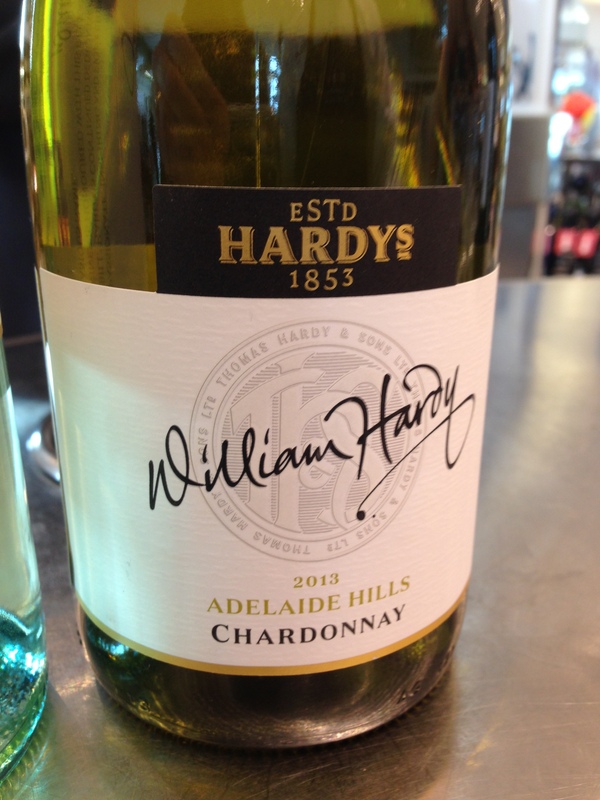 I loved this Chardonnay from the Adelaide Hills region because in my opinion, it was done in the Burgundian style of Chardonnay. It was refreshingly crisp with citrus notes, lemon and a hint of peach. The oak was subtle and this beauty would pair perfectly with shellfish, salmon or chicken, just to name a few. Actually there is a long list of foods this wine would compliment. A list of foods this wine wouldn’t pair well with would be a lot shorter. My apologies for the fuzzy picture, but I have to highlight this Riesling. 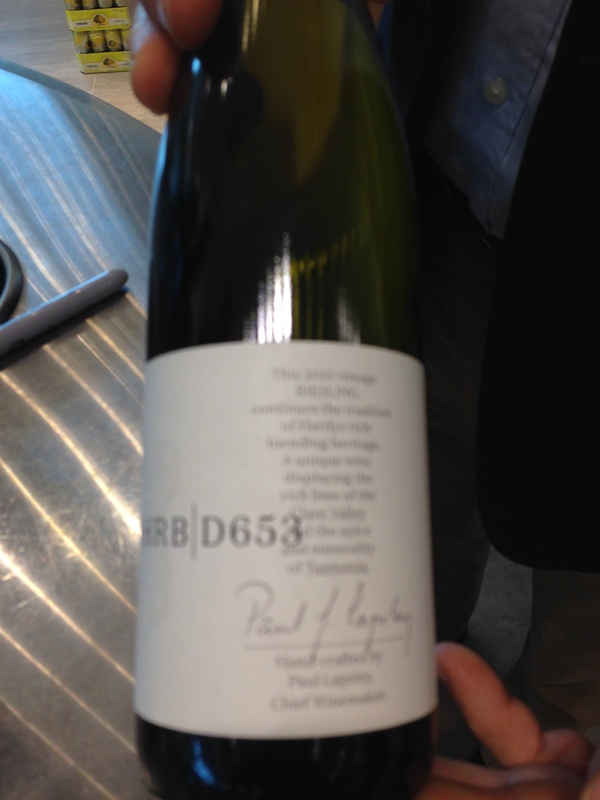 It’s the HRB D653 Riesling. Regular readers of my blog know how much I love Riesling and that it is my favorite wine for spicy food, as well as Asian, Indian and Szechuan cuisine. Gorgeous citrus, green apple and lime flavors and a perfect balance of acidity and will have you wanting to try this Riesling. I told Bill that I was planning to have a steak that night, and he showed me this. 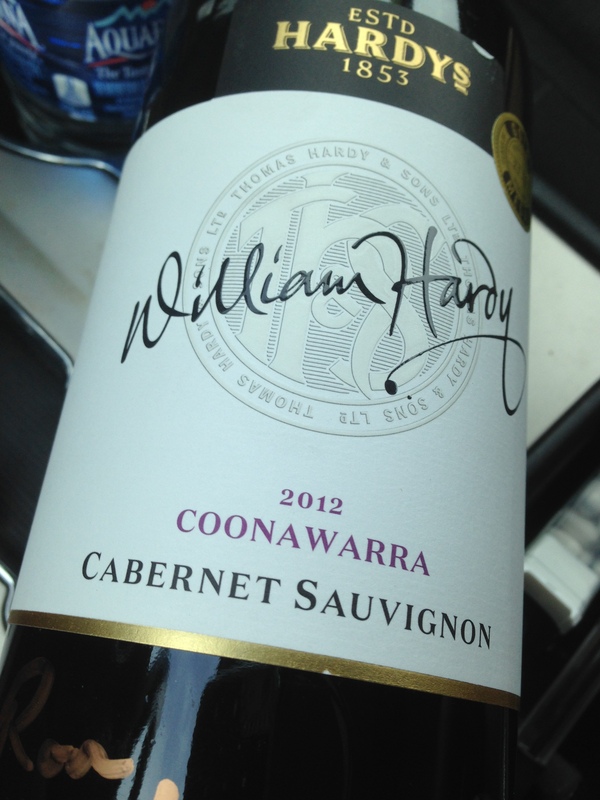 A lovely 2012 Cabernet Sauvignon from the Connawarra region. As he said, a clean cut of beef and a classic Cabernet Sauvignon go hand in hand. I ended up having my steak last night instead, and enjoyed this beautiful Cabernet Sauvignon while I was grilling and eating my steak. Great structure, good tannins, and lots of flavor. I followed every bite of my tenderloin steak with this wine, and it was heavenly. And last but not least, the Tintara. Again, apologies for the fuzzy picture. I was excited about meeting Bill, and guess I couldn’t stand still long enough to take a decent picture. There’s a great story behind this wine. 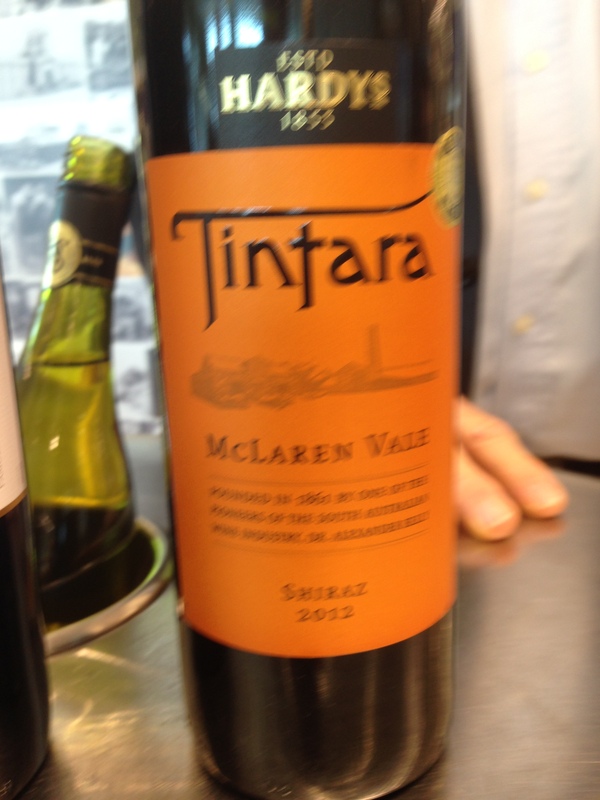 Located in the McLaren Vale region of Australia, the Tintara Vineyard Vineyard was bought by Thomas Hardy and Sons in 1876. (Bill’s great great-grandfather) Today, the winery holds the distinction of producing the oldest surviving bottle of Australian wine, an 1867 Tintara Vineyard Claret. This Claret earned the distinction when the previous record holder, an 1864 bottle of Pewsey Valey Cabernet Sauvignon was accidentally broken by an office cleaner at Christie’s Auction House. Ouch! Tintara is an indigenous aboriginal term for Orion’s Belt. Well that’s it for this week. Drink responsibly and enjoy a great wine this week. This entry was posted on March 14, 2015 at 1:53 pm and is filed under Uncategorized. You can follow any responses to this entry through the RSS 2.0 feed. You can leave a response, or trackback from your own site.